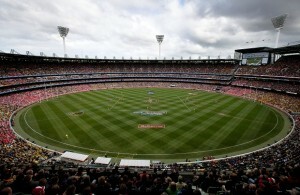 The Melbourne Cricket Ground is one of Australia’s greatest assets. 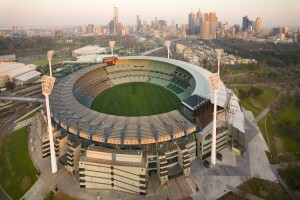 It is the biggest stadium in Australia with a capacity of just under 100,000. The MCG is an extremely busy venue accommodating International Cricket, Australian Rules Football, Rugby League & Union, Soccer, as well as Concerts, Dinners and other major functions on its natural turf arena. The MCG is very heavily utilized. There are more than 90 days of cricket and football each year and attendances exceed 3.5 million people annually. Today it sits proudly alongside other internationally recognized attractions as a venue uniquely symbolic of Melbourne, Victoria and Australia generally.